Ten to two and the only people at the back of the bookstore where we’re holding the launch are Chris, my sister Brenda, and my friend Charlene. Gulp! Then my niece Kathy and her husband Rob arrive. While I’m chatting with them, trying to hide my nervousness, people begin to trickle in. Then flow. At five to two all the chairs are full. By two o’clock, there are people standing at the back. It was like having my whole life spread in front of me. My family. A friend from highschool. My best friend from grad school. Former work colleagues. Old friends. New friends. There were even some people I didn’t know. Looking at that sea of faces it was impossible to be nervous. I talked about how the book came to be, read from it. There were some horrified faces as I described what it was like to be in a 43-foot sailboat in the middle of a proper North Atlantic gale. Then I talked a bit about how the experience changed me. I’m not the same person I was before I sailed across the ocean. I’m stronger, and braver, and happier now than I’d ever imagined I could be. One thing I hadn’t expected was how much fun signing books would be. 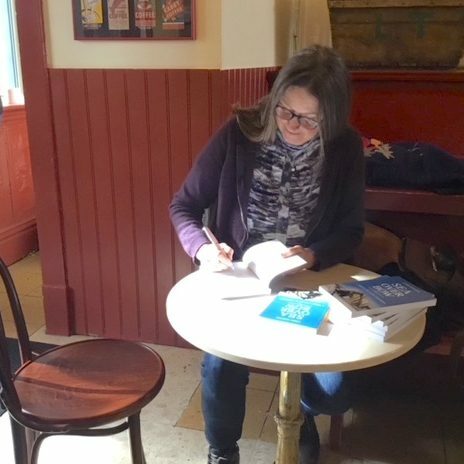 Fortunately I’d had a chance to warm up my signature the week before at Balzac’s in Stratford, where I signed books for Chris’s ex-wife Linda (starting to see a pattern here?) who bought copies for all her friends for Christmas presents. There must have been a lot of that going on at the launch. Most people bought two or three copies, some five or six. In no time, the bookstore had gone through all of its stock. Fortunately Karen, my publisher, had the foresight to send me a box of books and instructed me to bring them along, just in case. Now my book is out there, which feels great. Sales are nice and all that (I say this with a nod to Karen…) but what a writer really wants is to be read. I’ve heard from several people who have finished the book already, some of them in a single day. Their glowing praise is making me quite impossible to live with. After such a successful launch, I’m really looking forward to our presentation at the Toronto International Boat Show in January. 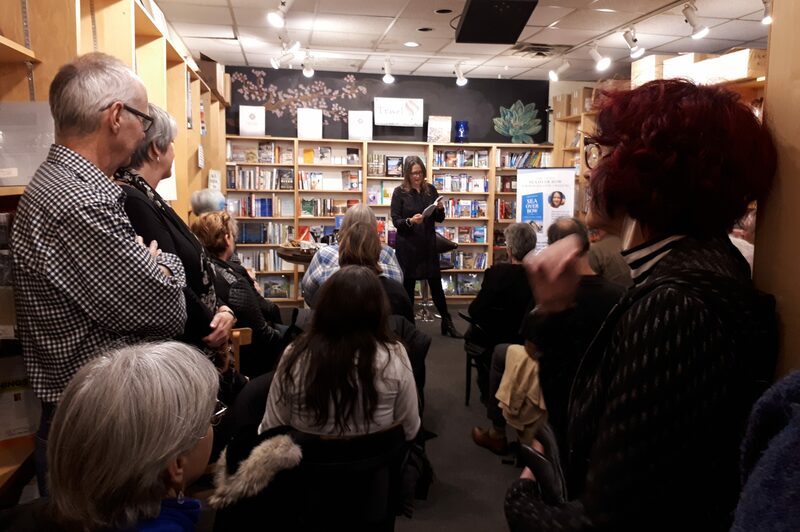 There had to be 50 people at the launch in Guelph. What’s a crowd of 150? Though I may have to recruit some friendly faces to sit at the front. i missed this .. so sad .. congrats! We’ll have to catch up another time! I would be front and centre if we were in Ontario in January, February or March but alas I will be on a golf course someplace in Florida. You captured the Guelph signing perfectly, I felt like I was there but must admit I feel so privileged to have had you all to myself in Stratford. I keep telling my gift recipients to write a review on the Chapters or Amazons sites. I want to see Best Selling Author, Linda Kenyon on the next batch of books that you have to have printed. I know you would be! I will picture your smiling face. Thanks for encouraging people to post reviews. I think it really helps. way to go, Linda! you can do anything now after your sailing experiences. When is the boat show?? We’ll be at the boat show January 19-22nd. They haven’t posted seminar times on their website yet. I’ll let you know when they do. It’s going to be fun doing a presentation with Chris. thanks and have a wonderful day on Christopher’s birthday!! Delighted for you that the signing in Guelph was such a success. Bodes well. 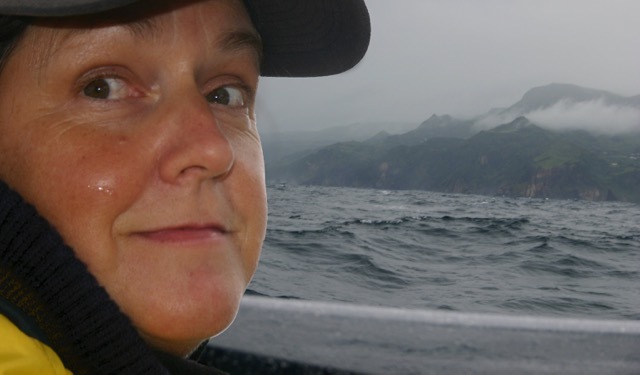 I’ll be there at the boat show in January as one of your friendly faces. Wish I could have attended Linda, great to hear it was a success. Well deserved.